Here’s a blog post that we, as a newsroom staff, have been working on for more than a month. The delay in posting it reflects the care we took to weigh an appropriate response to a specific incident or rather series of incidents. At one point we thought it might dictate some sort of policy about blog comments. In the end, it became more of a philosophical issue, one on which we invite you to weigh in. At least one other reader noticed similarities in tone and word choice between those two users and Coppola, both on that blog entry and elsewhere, including Coppola’s personal blog, which he has since (as of Dec. 1) turned over to guest writers. We thought the similarities suspicious as well, and checked on where the posts were coming from. We can’t get specific detail on a commentor’s residence from the registration form our users submit, nor can we even confirm the identity they use when they register. People comment anonymously on our site, and we allow that. But we can check the Internet Protocol Address of each user, which is a unique number for a computer or network hosting a number of computers. Using the IP address, our system can give general details, such as a residence in Port Orchard, or a government building. We don’t regularly check the IP addresses of users, but we can, and so we looked at those being used by Gumshoe and LocalPoliticalJunkie. Their IP addresses matched the one used by Lary Coppola, who had registered and posted under his own name. That gave some credence to the suspicion that all three online users were the same person. We asked the mayor about it, and he said it wasn’t him. He didn’t have an explanation for why the IP addresses would be the same, but said he suspected the others were copying material from his personal website and using them on the blog here. We can’t confirm Lary is either one of the other posters, but, in light of the evidence we found and his response, whether to report on our discovery became a protracted discussion in the newsroom. It’s an issue we haven’t come upon in the past, but as the nature of journalism moves increasingly online, it’s sure to come up again. So we’ve decided to bring it up now, even though we have seen little of gumshoe or LocalPoliticalJunkie over the past month. There’s nothing explicitly wrong with readers using more than one screen name to register at kitsapsun.com. There is no law against using a second online identity to support comments you’ve posted using your first online identity (known in the online community as “using a sock puppet“). But the idea of an elected official doing so bothers us. What would happen, for example, if a public official began to post misinformation on an upcoming vote, or a candidate for public office acted under many personalities in the course of campaigning? That doesn’t seem like behavior voters would look for in a public servant. People are going to manipulate the system at some time, on some level, and there’s too much information and opinion out there to catch it all. But that doesn’t mean we shouldn’t be skeptical at the appearance of such behavior. We think elected officials should be held to a higher level of transparency in this new age of communication. Do you agree? On a final note, we commend Lary for the comments he has made as a Mayor of Port Orchard. He is one of the few Kitsap officials to take part in the public conversation on the blogs, and we would encourage others to follow his lead. You’ve had all the quality time with your loved ones you can stand for the next five years. You’ve played every board game in the house. You’re out of groceries and the red goo at the bottom of the meat drawer is starting to look pretty tasty. Your dog is starting to look pretty tasty. You’ve started having conversations with your cat … and he answers you … in complete sentences. If your children sing, “Let it Snow,” one more time, you will start having conversations with the red goo in the bottom of the meat drawer. You will need a driver’s ed refresher course when this is all over. You actually look forward to rain. You could be suffering from cabin fever. So what are your symptoms, and anyone know any good antidotes? The City of Port Orchard will delay opening City Hall to the public until 10 a.m., Tuesday, Dec. 23 due to the weather. Also, the council meeting scheduled for tonight has been rescheduled for 7 p.m. on Dec. 30. More information on additional weather-related delays and closures will be available at the city’s Web site, usually by 6 a.m. on each morning. Snow, which had tapered off in the morning, picked up again around noon in South Kitsap, resulting in further accumulation. As of Sunday at 2 p.m., the Sunnyslope area had a foot of snow total accumulation (since Wednesday). The main roads were plowed, thanks to crews working through the night in Port Orchard. One driver, Daniel Woods of South Kitsap, had driven all the way from Tacoma with no problem, only to get snagged in deep snow on the shoulder at the corner of Sedgwick and Sidney roads. “I just came around the corner. I wasn’t even going that fast. I got my front tire stuck in the deep snow, and it just pulled my tires off the road,” Woods said. Woods, his brother Art Burnett and Chris Simonson, who works at Port Orchard Market near where the car got stuck, dug the tires free, and Woods was on his way. Woods said Highway 16 from Tacoma was passable but down to a single lane in some areas. At Van Zee Park in Port Orchard, sledders and snow boarders took advantage of the deep snow and steep hill below the water tower. Larson and buddies Logan Davis and Nathan Arns said the quality of the snow was every bit good as at Crystal Mountain … and the price was right. Among the businesses that remained open despite the snow, Big 5 sporting goods in Port Orchard was doing brisk business in all manner of snow gear and equipment. The store sold out of sleds Saturday, but was expecting a new shipment Monday, manager Shelly Miranti said. Propane and heavy socks were other hot sellers (pun intended). 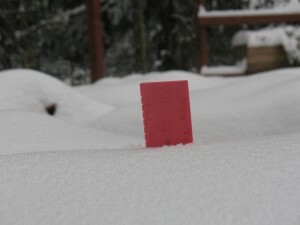 Below: A ruler in a yard at McCormick Woods showed 10.5 inches of snow at 8:30 a.m. Sunday, Dec. 21, 2008. 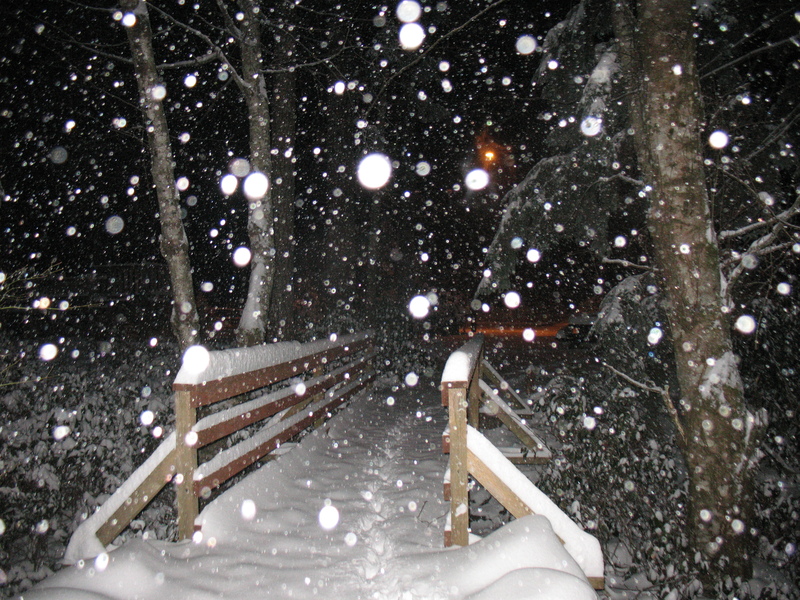 As snow has continued to fall all afternoon, I’m pretty sure we’ve got a foot by now. 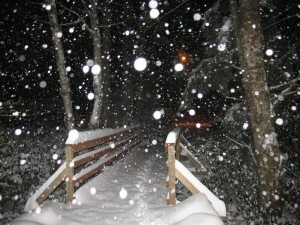 (Submit your snow pix, videos and comments at kitsapsun.com. Stay warm. Is everyone out there OK? The Port Orchard City Hall will reopen today to serve the public, but on a reduced schedule. Hours will be from 10 a.m. to 3:30 p.m. In light of the predicted snowstorm and severe weather anticipated on Sunday, a decision on a possible closure on Monday will be made by 6 a.m. Monday morning, and posted on the City’s Web site. The local news media will also be notified. For more information, please visit www.cityofportorchard.us. 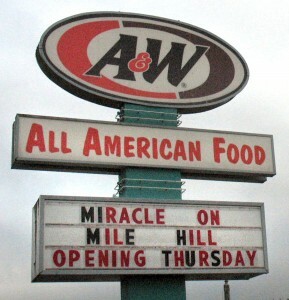 Update: Dec. 18: Buck’s A&W is scheduled to reopen today. See below for video coverage of the Buck’s saga. That’s how Rick Gehring, owner of Buck’s A&W described the past week in which parties to a lawsuit against Buck’s that was settled in 2007 reached an agreement on attorneys fees awarded to the plaintiffs. The agreement brings to a close (yes, really) litigation that has gone on since 2004, when the suit was filed. The reason the story has gotten such attention is that Buck’s has a long history of community service, particularly in support of youth sports. Among those whose interests are served by the resolution of this case are the plaintiffs. They will not receive any monetary gain, as their attorneys took the case on contingency. The settlement pertains to fees owed to the attorneys. But at least now the two women who were Border’s victims can get some closure on the crimes of which he was convicted. Buck’s Finds the Miracle it Needed, (on the settlement), Dec. 16, 2008, Kitsap Sun. Members of Kitsap County classic car clubs will gather for one last Cruz at Buck’s A&W from 11 a.m. to 3 p.m. on Sunday, the last day the 50-year-old fast food joint will be open for business. Buck’s is declaring bankruptcy due to legal costs stemming from a 2007 lawsuit. Read a history of Buck’s in Sunday’s Kitsap Sun. There will also be a story about how state law regarding the awarding of reasonable attorney fees played out in the case. Community members have been streaming into Buck’s all week to get a last taste of its roots beer floats and curley fries. “I didn’t realize so many people had so many attachments to Buck’s through so many channels,” said Rick Gehring last night as he took a quick break from the burger flipping marathon that has been the scene at Buck’s since news of its imminent closure went up on the reader board earlier this week. Buck’s began hosting summer Cruz nights in 1991. 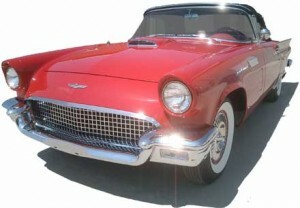 During warm weather months classic car lovers and their families gathered in droves to show and shine their babies. Never mind that the weather on Sunday is supposed to dip into the 20s, said John Kincell of the Saints Car Club. The community will turn out to show its support of the Gehring family and Buck’s staff.